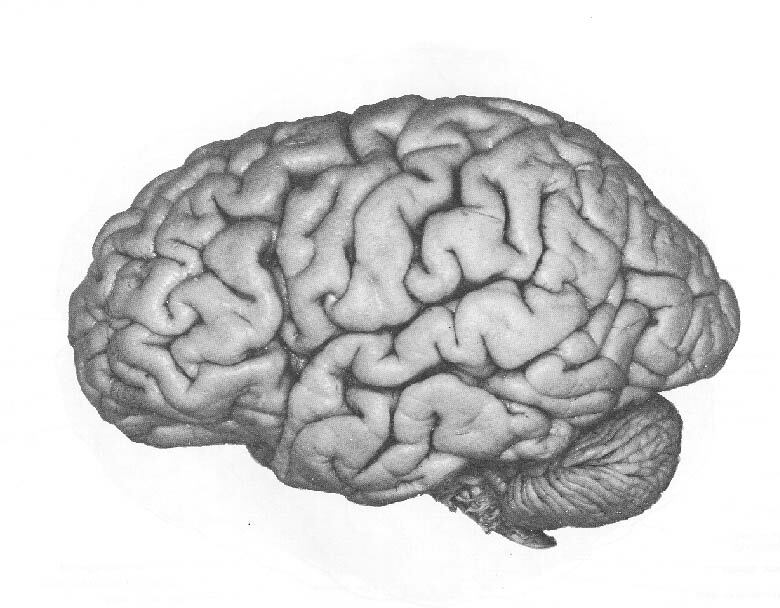 The frontal lobes play a major role in the planning and execution of movements. In the frontal lobe, there are four important gyri. Roughly parallel and anterior to the central sulcus is the Precentral Gyrus (also called the motor strip). The precentral gyrus represents the primary motor cortex. This motor cortical area contains motor neurons whose axons extend to the spinal cord and brain stem and synapse on motor neurons in the spinal cord. Besides the roughly vertical Precentral Sulcus (anterior to the precentral gyrus), there are two additional sulci that are sort of diagonal. These sulci provide boundaries for important frontal gyri: the Superior Frontal Gyrus, the Middle Frontal Gyrus, and the Inferior Frontal Gyrus. The most anterior region of the frontal lobe is called the prefrontal cortex and includes all three of these gyri. This area takes part in the higher aspects of motor control and the planning and execution of behavior, tasks that require the integration of information over time. The inferior frontal gyrus looms large linguistically. This gyrus is the general location of Broca's area and is responsible for phonological production. This page was last modified on 26 June 2000. © 2000 Rice University. This document, or any portion hereof, may be used for non-commercial informational purposes only. Any copy of this document, or portion hereof, must include the copyright notice (http://www.rice.edu/about/cr-notice.html) in its entirety.